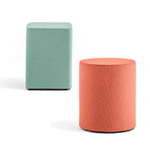 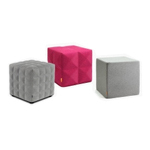 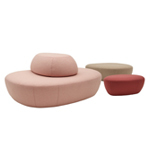 A family of ottomans, Pix from Arper is inviting and iconic and provides a casual touch of comfort in both contract and residential environments, inside or outside. 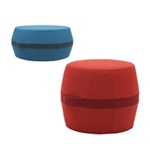 Available in small one-seat and large one, three and five-seat sizes are offered in a range of fabrics and colors. 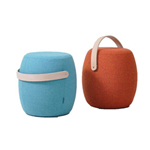 Pix also comes in a mini version suited for children or adults — soft, colorful and casual. 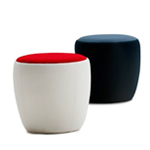 While its dimensions are considerably more diminutive than its family members, its applications are equally diverse: table, seat or backrest when sitting on the floor.